This "Historically Speaking" column was published in the Exeter News-Letter on Friday, May 22, 2015. Exeter lost 19 men to the battlefield in World War II, among them was Albert Sumner Wetherell III. Like many young men in town, Wetherell enlisted in the army rather than wait to have his life upended with the draft. He served nearly three years before his death in the Ruhr at the very end of the war in Europe. Wetherell’s family was well respected in town. His grandfather, Albert Wetherell Sr., hailed originally from South Norridgewock, Maine. After attending school in his hometown, he moved to Gloucester, Massachusetts to work in a drugstore for three years learning the art of compounding medicines. By 1873, he was ready to open his own business and initially set up shop in the Janvrin Block on Water Street. He opened his newly renovated drugstore in 1893 to great local excitement. The new store was “elegantly appointed” according to the Exeter News-Letter, and can still be seen today just opposite the bandstand, easily recognizable by the druggists’ mortar and pestle that stands on the roof. Local legend holds that the hot fudge sundae was invented at Wetherell’s drugstore at the soda fountain. Albert Wetherell the druggist’s son, named for his father, went into the auto business opening a garage and sales office on Franklin Street. His advertisement from 1930, boasts of “Sales and Service: Buick, Marquette & Chevrolet Cars.” His son, also named Albert, but called Sumner – his middle name – was drawn to the exciting new world of automobiles, dropping out of Exeter High School to become a mechanic. Sumner Wetherell took on leadership roles within the town. He became involved with the Boy Scouts of Troop 193, first becoming assistant and later Acting Scoutmaster, winning a blue ribbon for camping proficiency at the Stratham Hill Camporee in the fall of 1940. He expanded his role with the Exeter Fire Department, becoming a full member of the Hook and Ladder Company in May of 1940. 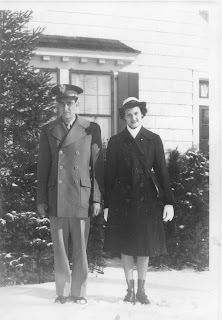 By the time the war began, he had proved that he had leadership potential, but without full schooling, he was only able to enlist as a private in July of 1942. But at some point during basic training at Fort Wheeler, Georgia, it became evident that he had the skills required of a leader. Sent to Officers Candidate School at Fort Hood, Texas, he graduated as a second lieutenant in a tank destroyer unit. Before shipping overseas, he stopped in Exeter long enough to have his picture taken with his sister, Elizabeth, then a member of the WAVES. Arriving in France, he trained with the infantry and became a platoon commander. As the war wound down in early 1945, his father must have begun to get excited that his son would soon come home. But it was not to be. During the final push into Germany, 2nd Lt. Albert Sumner Wetherell was reported missing in action. 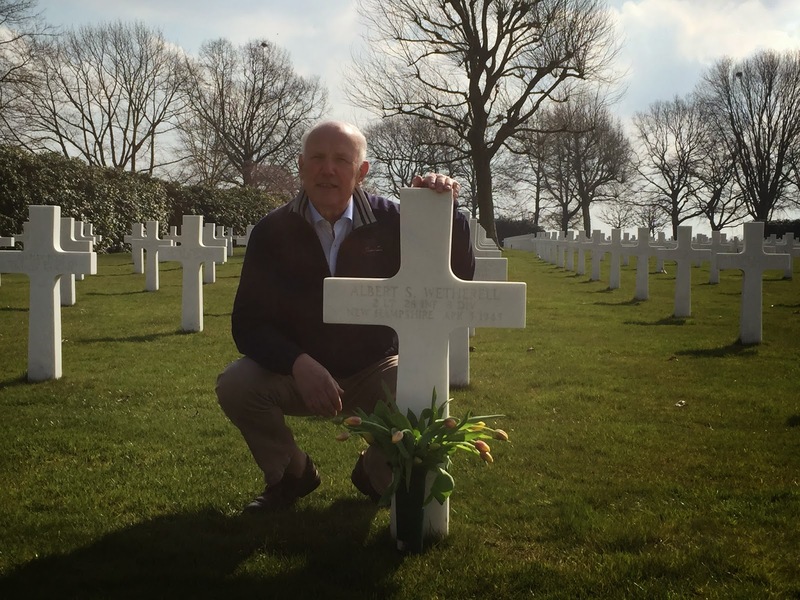 His father received word on Saturday, April 21, and worried until receiving the news he didn’t want to hear the following Monday that his only son was confirmed killed in action on April 5 – just a month before the war’s end in Europe. 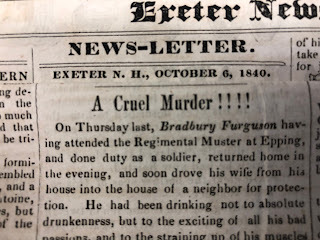 The Exeter News-Letter picked up the story and reported on April 26, “his death brings to 14 the number of Exeter service men who have given their lives in the war.” It would not be the last. 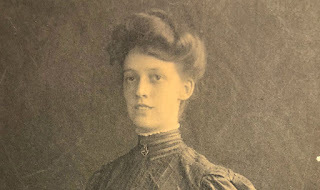 Wetherell’s family inscribed his name on the family gravestone in the Exeter Cemetery, sadly under that of his mother, Hazel, who died in 1925 after childbirth when Sumner was just a boy, and his baby brother who died a year later of scarlet fever. Exeter’s World War II service men who died during the war – Millard Blaisdell, Hector Bruneau, Joseph Chatigny, Jr., Robert Connor, Maurice Couture, Rene Desroisiers, James Dirsa Jr., Joseph Hammell, Christian Hansen, Albert Horsfall, Herbert Moss, Robert Naves, Raynold Nudd, John Pearson, Forrest Shaw, Raymond Tuttle, Alfred Wightman, Cornelius Wilson and Albert S. Wetherell III (known as ‘Sumner’) – are all well remembered in Exeter. We can take comfort in knowing that they are well remembered overseas as well. Photo: 2nd Lieutenant Albert Sumner Wetherell III and his sister, Elizabeth Wetherell of the WAVES pose together just before Sumner shipped overseas during World War II. Sumner was killed in action in the Ruhr region of German on April 5, 1945.